This is not a secret, but I like posting things that actually work. 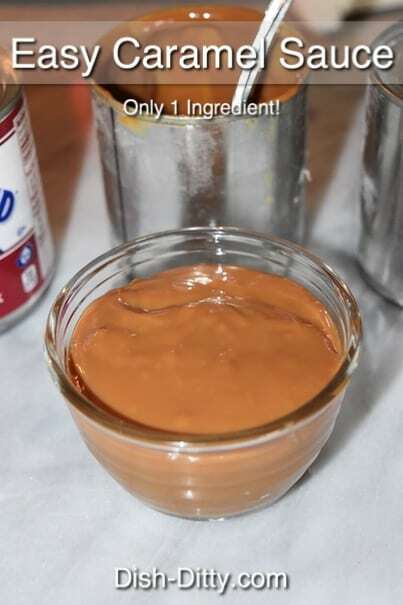 One can of Sweetened Condensed Milk can be turned into a creamy caramel sauce. 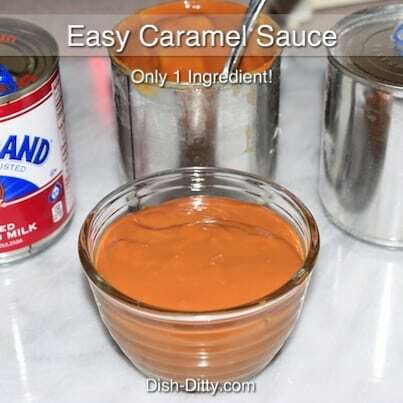 Yep, one ingredient = caramel sauce. The flavor is not exactly the same flavor you would get from a commercial caramel sauce or one you would make from all fresh ingredients. But it is a delicious and creamy sauce none the less. I think, if anything, it is a little creamier. For those who have discerning tastes, you may be able to taste the sweetened condensed milk. So, without further ado, here’s the recipe… Enjoy! Remove the label from the can and make sure the can is fully sealed. Do not open the can. Place the can in a pot and fill pot with water, covering the can by about 2 inches. Bring water to a boil. Reduce heat, cover and simmer on the lowest setting for 2 1/2 hours. Remove from heat and let cool before opening. Stir and serve. 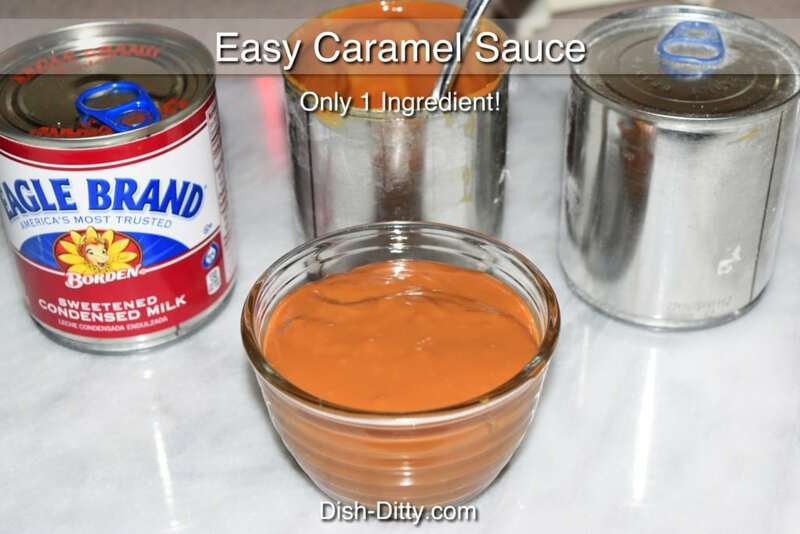 No Replies to "Easy One Ingredient Caramel Sauce Recipe"